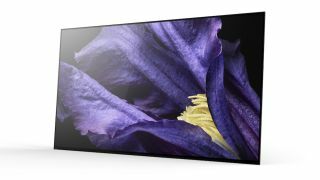 Sony announces UK pricing for its flagship Master Series LCD and OLED TVs | What Hi-Fi? Sony announced its new Master Series of TVs back in July, but one key piece of information was missing. Pricing. Just how much would these flagship LCD and OLED TVs cost? Well, Sony has chosen IFA 2018 to reveal all, and the good news is the pricing seems perfectly reasonable. Opt for a set from the AF9 OLED range and you can expect to pay around £2999 for the 55in model and £3999 for the 65in model. That's around the going rate for a flagship 4K OLED TV and matches rival models such as the LG OLEDE65PLA pound for pound (at the time of writing, at least). Sony's ZF9 range of LCD sets is also only available in two screen sizes - in this case, 65in and 75in. The former will cost around £2799, while the latter will set you back £4999. Again, these aren't astronomical amounts when you consider the flagship specs of both of these ranges.